Although she passed away in 1995, her presence is felt by all who visit Yasodhara. Her legacy of teaching is preserved by her many books and recordings. Swami Radha left the Ashram under the care of her designated successor, Swami Radhananda, whose dedication has supported a thriving and ever-evolving community. Yasodhara trained teachers carry forward Swami Radha’s legacy of teachings. They work from their experience and rely on their own foundation of yoga practice to guide and inspire others. All of our teachers renew their training every three years in a process of continuous learning. Swami Radhananda first came to Yasodhara Ashram in 1977 where she met Swami Radha and became a lifelong student of Yasodhara Yoga. 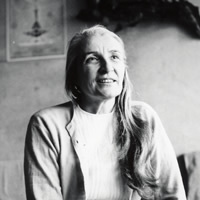 She was the director of the Yasodhara Yoga Centre (then Shambhala House) in Lethbridge, Alberta from 1986 to 1990, when she moved to the Ashram. Swami Radha named her president of Yasodhara Ashram in 1993 and she was initiated into sanyas in 1994. She is now the Spiritual Director of Yasodhara Ashram and a living example of the quality and integrity of Swami Radha’s teachings. 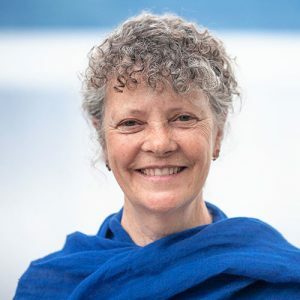 Her current focus is on the spiritual development of her students and the long-term vision for Yasodhara Ashram. Over the past twenty-five years Swami Radhananda guided the Ashram community to embrace its potential of harmony and inclusiveness, and she opened the way for the next generation of yogis and yoginis to embrace the rewards of spiritual life. She has also encouraged environmental resiliency, ensuring that the Ashram will be a place of learning and transformation for generations to come. Swami Radhananda is the author of a memoir about her time with Swami Radha, Carried by a Promise: A Life Transformed by Yoga, and a book of inspirational essays, Living the Practice. Swami Sivananda Saraswati, (1887-1963) was one of India’s great gurus, and the founder of the Divine Life Society in Rishikesh. Known for his generosity and heart, he has inspired many to follow the selfless path of yoga. 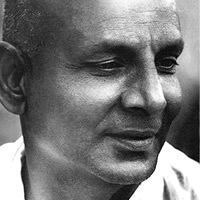 Swami Sivananda initiated Swami Radha in 1956. To initiate a woman, and a westerner, in the 1950s was groundbreaking. After an intense training period, he encouraged her to establish her own ashram in the West, so that she could share the teachings of yoga. Our senior teachers are swamis who all studied closely with Swami Radha, and now work with Swami Radhananda in the teaching and management of the Ashram. Swami Lalitananda has been a student of Swami Radha since 1979 and served as her personal assistant and editor for eight years. She became a swami in 1996, and is the former president of the Friends of Radha Foundation, an associated charity that oversees Yasodhara Yoga initiatives outside of the Ashram. In 2014 Swami Lalitananda was appointed by Swami Radhananda and elected by the Society as the president of Yasodhara Ashram. She is committed to leading the Ashram into a vibrant and evolving future. Her leadership style is practical, approachable and intuitive. Swami Lalitananda brings an innovative spirit to yoga practice – she founded “Radha” a yoga studio, eatery and gallery in the Downtown Eastside of Vancouver and was a columnist for the award-winning magazine, Ascent. She is also the author of two books, including The Inner Life of Asanas. Swami Sivananda is a long-time resident of the Ashram and serves as the Vice President for the Society. He is a full-time karma yogi and teacher. He was initiated into Sanyas in 2001. He brings to Swami Radha’s work over 35 years of practice with the teachings as well a wealth of experience in project management and environmental assessment. Swami Samayananda manages the teaching schedules and teachers at Yasodhara Ashram. She has been an educator for over 35 years in educational institutions, businesses, private consulting agencies and Yasodhara Ashram and Radha Centres. While living at the Ottawa Radha Centre, Swami Samayananda worked with a palliative care team and a cancer centre offering yogic tools to support patients. After seeking a spiritual path for many years, Swami Yasodananda found Swami Radha’s teachings in 1978 through the 10 Days of Yoga course at Yasodhara Ashram. The experience inspired her deeply and she went on to take the 1980 Yoga Teachers Course and has pursued the practice of yoga ever since. Her personal interests are in Sacred Dance, yoga as a support for healing, and Siva/Sakti philosophy. Swami Yasodananda lives in Spokane, Washington and teaches at Yasodhara Yoga Spokane. Swami Jyotihananda first tasted the sweetness of Swami Radha’s teachings during the Ten Days of Yoga, in 1977. In 1982 she started the first Radha Centre in Calgary, and for the next 15 years was involved in teaching in Calgary, England and Europe. She moved to the Ashram in 1998 and was initiated into sanyas in 2005. She brings a love of the teachings of Swami Radha and a deep trust in how they can radically change people and help them to evolve. Swami Padmananda was first introduced to Swami Radha’s teachings at a talk on Kundalini Yoga in 1987. After three years of attending regular weekly classes in Cranbrook, BC she arrived at the Ashram for the 10 Days of Yoga in 1990 and became a regular visitor over the next 20 years. During that time she did the Yoga Development Course in 1992 and 2007. She continued to live in Cranbrook, where she managed the Cranbrook Yasodhara Yoga Centre and owned an independent bookstore. She moved to the Ashram in January 2013. Swami Matananda has been living and teaching at the Ashram since 1990. She first came for the 10 Days of Yoga and she has been on a path of ever-deepening commitment to Swami Radha’s work since that time. She has a background as an elementary school teacher and an artist, with degrees in Education and Fine Art from Alaska University. In addition to teaching and managing at the Ashram she has worked at Radha Centres and with Timeless publications and videos. She loves the Ashram land and the people. Swami Sukhananda first met Swami Radha in 1988 and was deeply moved by her experience. She has been living and teaching yoga at the Ashram and in Europe ever since. Sukhananda was formerly an adviser to governments on sustainability, environmental and organizational issues. 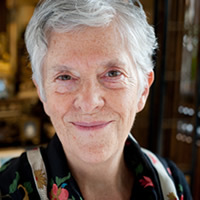 She is a historian whose articles about Swami Radha’s work have appeared in British and North American yoga magazines. She enjoys the beauty of the Ashram, and is continually inspired by yoga and by witnessing its transformative effects. Swami Satyananda first met Swami Radha in 1983, and was so inspired that the practice of yoga became a life purpose and passion. Before moving to the Ashram in 1991, Swami Satyananda worked as a mentor teacher and curriculum designer in the field of education. Her love of learning continues to grow and deepen through the practice of yoga. Swami Satyananda has lived and taught classes at Radha Centres in Canada and the US and has written articles for a variety of publications about the Ashram, Swami Radha and the Teachings. Our teachers range in age and experience, but they all share an inspiration to teach because of the impact Yasodhara Yoga has had in their own lives. After moving to Kootenay Bay in 1975, Alanda began her involvement with the Ashram through regular visits to the bookstore. Weekly community classes, summer workshops and eventually teacher training followed as she was attracted by the commitment and integrity of Swami Radha and the Ashram’s residents. Experiencing how these tools and teachings change lives, she was and continues to be inspired and grateful to offer and learn through them. She still resides in Kootenay Bay, glad to live close to the Ashram and to be part of its community. Alicia holds a Masters in Human Systems Intervention, is a professional coach and a certified Yasodhara Yoga teacher. She has over 15 years experience in organizational development and has designed learning-spaces for numerous organizations and groups. She is the former publisher of ascent magazine, founder of Pace Consulting and is currently developing curriculum for The Yasodhara Institute. Paris Marshall Smith began working at Radha Yoga and Eatery in Vancouver in 2007. She quickly realized that she wanted to spend an extended period of time learning about the Yasodhara Yoga teachings and living in community. After completing her graduate studies as a community and regional planner in 2010, she moved to the Ashram to support the work of building resilient systems related to food, energy and community. Her devotion to the teachings and their message of inner and outer integrity extends into working with local advocacy and community development organizations throughout the region. Shakti first came to Yasodhara Ashram in 1993, and began her lifelong commitment to this lineage with the Yoga Development Course in 1996. She lived and taught at the Victoria Radha Centre for ten years, and has recently moved to the Ashram as a long term resident. She brings her experience as an event manager along with her passion for music and art into the daily work and play at the Ashram. Rebecca first met Swami Radha’s teachings in 2004 at Yasodhara Ashram and they have been a mainstay in her life ever since. She currently lives, works and teaches at Yasodhara Ashram in Kootenay Bay and in Nelson. She has been a teacher of Yasodhara Yoga since 2005. Rebecca is also a gifted dancer and has taught sacred dance workshops across Canada and in the United States. Many of her insights come by listening to her body’s messages – through yoga, dance and relaxation – and her intuition, enthusiasm and joy in movement make her an inspiring teacher. Devotion is a key part of her life that shines through in her offerings.